The town of Maricopa, Arizona is located approximately 50 miles South of Phoenix directly accessed by Interstate 10. Maricopa, a city in the Gila River Valley was incorporated in 2003; it is the nineteenth largest city in the state. 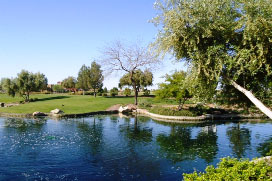 Maricopa is the second most populous incorporated city in Pinal County and forms part of the Phoenix metropolitan area, the 12th largest metropolitan area in the United States. With open, airy land, good roads and plentiful water for farming, Maricopa is a beacon to those seeking a desert sanctuary and lots of land to roam.